My mother’s parents met during the Second World War. They’re not the only members of my family who have served their countries, but they’re the ones I knew closest. Gran was a nurse, and Pock was a pilot in the Navy. I always wanted to follow in his footsteps, and applied for the Royal Australian Navy while I was still in high school – not as a pilot though, as a radio operator. (I wasn’t accepted). Over the years, I have placed poppies & rosemary sprigs on the coffins of ex-military friends and family. Closer than my grandparents though – my partner is in the Australian Defence Force. So are some of our dearest friends. While my partner was away recently, I fell quite ill. I had to take leave from my normal commitments, and I was struggling to do even simple things at home (almost 7 weeks later, I’m still struggling). His Army unit stepped in to help me, because that’s what they do. All these years, I’ve thought that was just a thing in movies. It’s not. It’s very real. The loyalty and bonds within their unit extends past just its members but also encompasses their partners, their children, and their families. 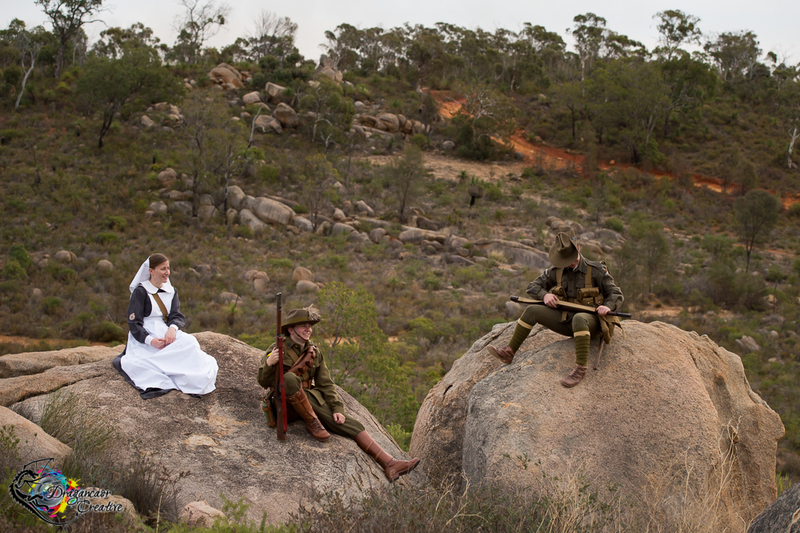 The mateship that is inherently ANZAC. It’s not just a word. But who looks after them when they’re home and injured, or even after they’ve stepped down from duty? The Returned and Services League (RSL) do. Who looks after the widows and the children of fallen servicemen and women? Last November, my partner stood on the street corner in the Perth CBD selling plastic poppies to raise money for RSL. So many other members of Defence and RSL did the same. We’re so used to thinking of Veterans as those older gents who fought with our grandfathers in WW2, or our Uncles in Vietnam. But at the age of 25 my partner was also a Veteran, and the overseas service he had returned from was part of an ANZAC deployment. ANZAC Day is not just about Gallipoli. While the Landing at Gallipoli was the date they chose for this commemorative holiday, it’s not just about those Diggers from World War One or their tragic and heroic stories. It’s about all of them. Every Australian and New Zealander who has served our Countries under those famous and tremendously important ANZAC ideals. This year I will be returning to the Nollamara RSL Sub-branch for their early ANZAC Day service on the 19th April. WAGWLHA will be there, standing in on behalf of our WW1 troops. I will be at the Sunset Service at Kings Park on the 24th April. ANZAC Day itself is a 3am start for us, to get to his Barracks for a gunfire breakfast and Dawn Service, then out to the parade in Perth, before returning to the Barracks for an afternoon with his colleagues and their families. Thousands of people line the streets of Perth on the morning of ANZAC Day to watch the parade. Children wave miniature paper Australian Flags at the passing military marching bands, cadets, service men and women, retired veterans, surviving family walking on behalf of veterans, and re-enactment clubs walking on behalf of WW1 Diggers. We show our support and our respect, and we remember the fallen. I created this series of photographs about our ANZAC History with the sole purpose of raising funds for our troops where they need it the most – their support agencies. I created it so that I am doing more than just showing them they matter. The work that the volunteers within RSL & Legacy do for our troops behind the scenes is phenomenal… and it makes a huge difference to those people who need it. 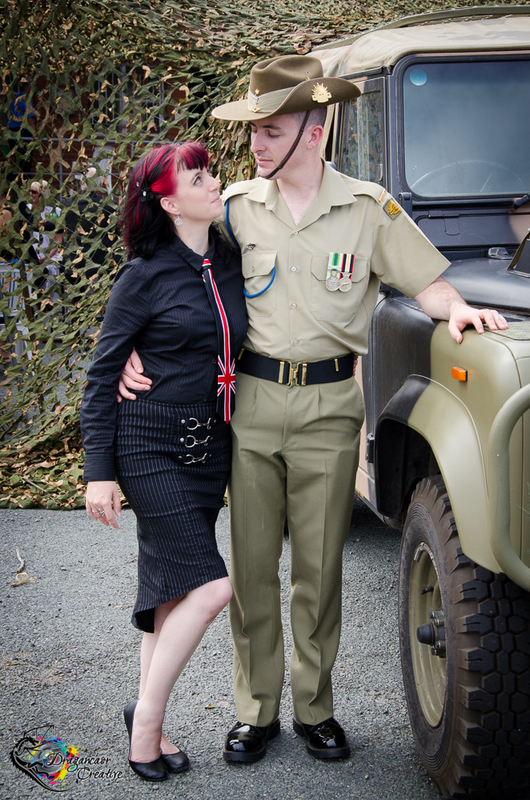 Alternatively, you can purchase one (or more) of the photographs within this series – money raised is being donated evenly between RSL WA and Legacy.